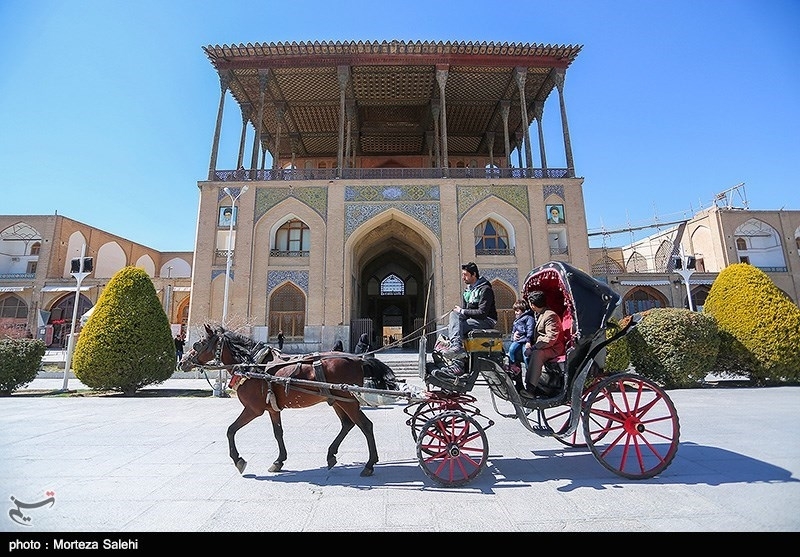 TEHRAN (Tasnim) - At the west of Maidane Immam (Naghsh-e Jahan) in Iran's central city of Isfahan, just in front of the Sheikh Lotfollah mosque, one of the most magnificent palaces of 17th century is located. 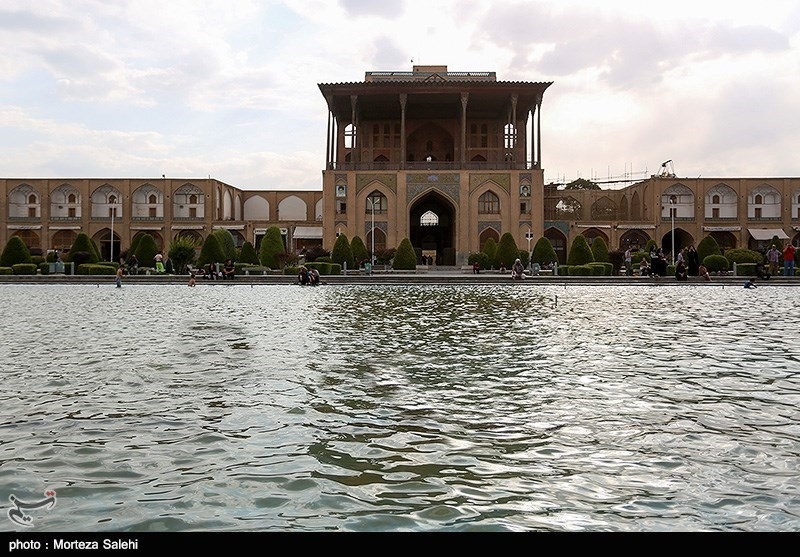 The Ali Qapu palace is well-known palace all over Iran. The first part of palace was built in 1597. It was used as a residential palace. Shah Abbas the great, ordered to construct the palace on the site of palace and garden from the Timurid time. 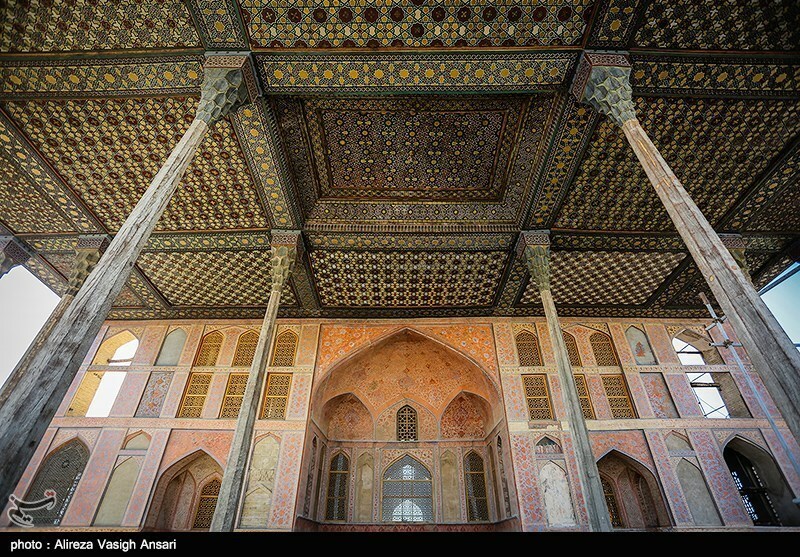 Shah Abbas’s palace was a four floors with a veranda. Shah Abbas the second, expanded the palace and a music hall (room) was constructed on the top of palace. The palace is about 38 meters high, the loftiest and tallest building in the 17th century. There are 52 rooms, but because a long restoration most of rooms are closed to visitors. 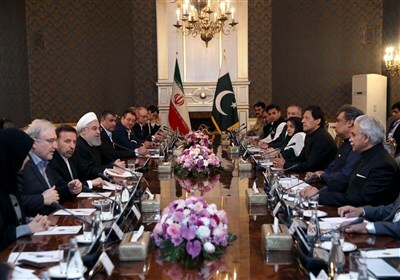 Iranian empire, in 17th century was a serious rival to Ottoman Empire. European countries wished to create hostility between two empires. Their plans and plots were successful. In Istanbul of 17th century there was a palace with the same name. Some of Isfahanologists believe that Shah Abbas the great highly respected the first Shiite Immam Ali. On the other hand Qapu is a Turkish word means,” the magnificent door”. 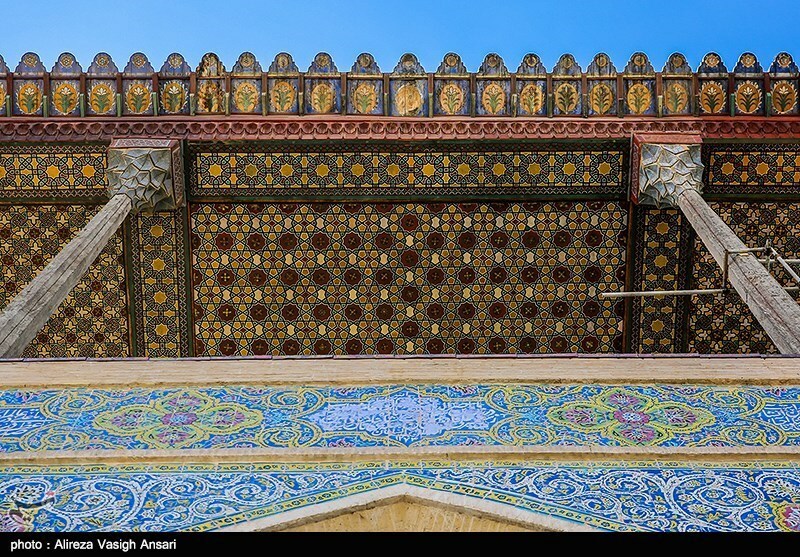 An old door was replaced from the shrine of Immam Ali in Najaf, to Isfahan. All people even the Shah, when they entered the palace dismounted from horses, in order to respect Immam Ali. Shah Abbas considered himself as a real follower of Immam Ali. A beautiful door ornamented with gold, silver and other fine arts was made in Isfahan and dedicated to the holy shrine of Immam Ali which is located in Najaf Iraq. Ali Reza Abbasi the prominent artist has worked on glorious miniature paintings. The main reception hall and all other rooms were decorated with fabulous plaster work, plaster carving and miniature paintings. There are two sets of staircases to the top floor. Staircases are very narrow only one Person can climb the stairs at the same time. 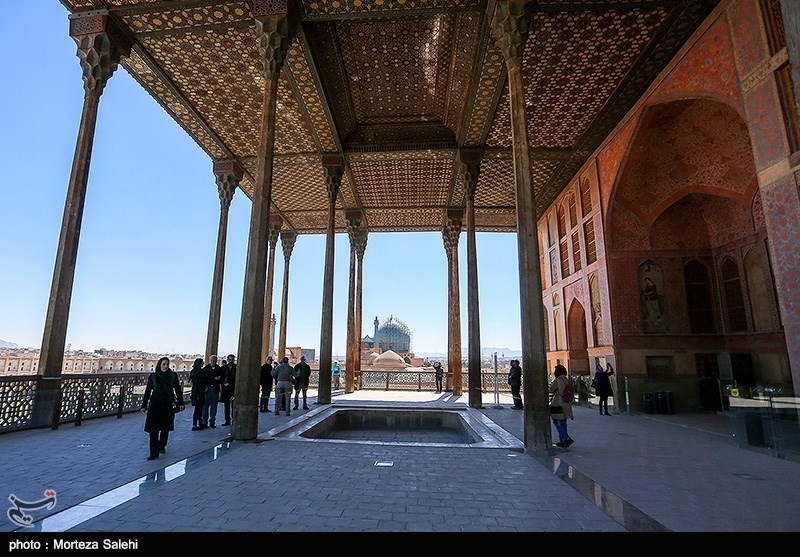 On the west side of the fifth floor, there is a balcony facing to royal gardens, and the palace of Chehel Sotoun. Just on western side in the same neighborhood there is an old monument, called Tohid Khaneh. It was used by Dervishes at the time of Shah Abbas the great. 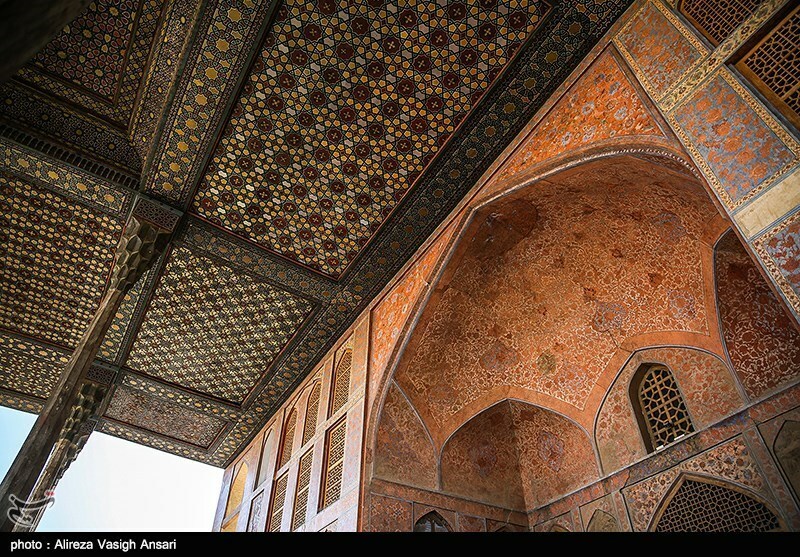 This monument and all rooms enclosed the Tohid Khane’s courtyard, now are used as a part of the Faculty of Fine Arts of Isfahan. Unfortunately some crazy visitors have damaged lower plaster and stucco works. One of the most attractive parts of the palace is the Verandah, in the third floor. A beautiful panoramic view of the Imam square, the Seljuk old town and also Isfahan can be seen. The verandah has 18 wooden pillars in three rows. The ceiling of verandah is a two shell roof. Inner shell is decorated with mirror, and paintings on wood. The outer shell is used as a protection shell. Originally, wooden pillars were decorated with mirror and painted inlaid wood. There is a remarkable pool in the centre of verandah made of copper plates and has fountains. For certain occasions the pool was filled with water, brought to the pool by bucket-wheel (Charkh Ab). Water was collected from semi deep well and transferred to the pool. Beautiful certains covered three sides of verandah, when privacy needed. The royal family and their guests could watch polo games and different ceremonies from the verandah. On the west of verandah there is a magnificent throne hall decorated with fabulous plaster carvings and miniature painting. 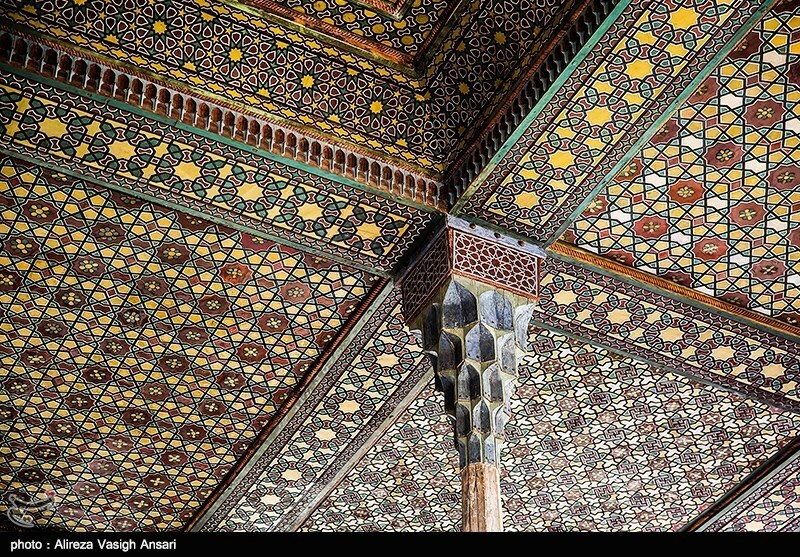 Reza Abbasi and his team of painters have left extraordinary paintings, especially on the ceiling. The last floor of the palace is famous as the music hall. The most unique plaster work has ornamented upper parts and the ceiling. Through this plasters work different imaginary shapes, such as flower vases, dishes, plates and bottle can be seen. 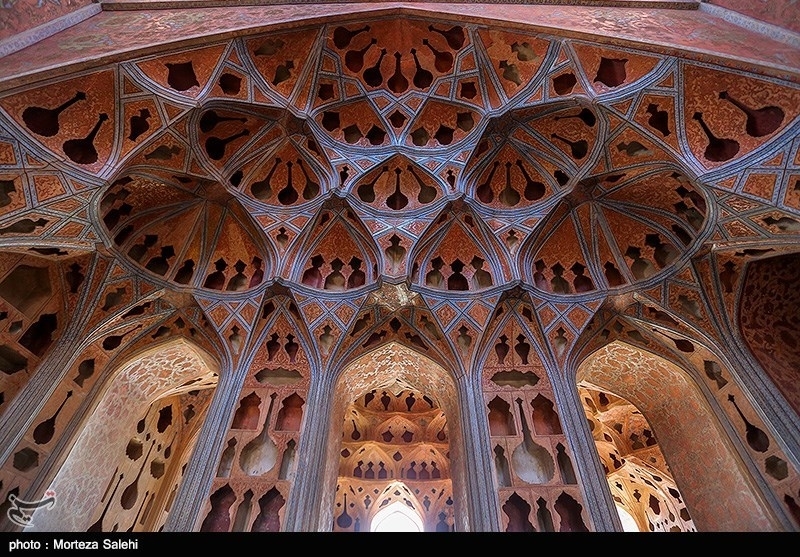 Music hall’s ornamentation is a new decorative invention of Safavid era. Sad to say that in 19th century magnificent original paintings and gilded decorations were notched and destroyed and a new layer of inartistic plaster work covered original works. 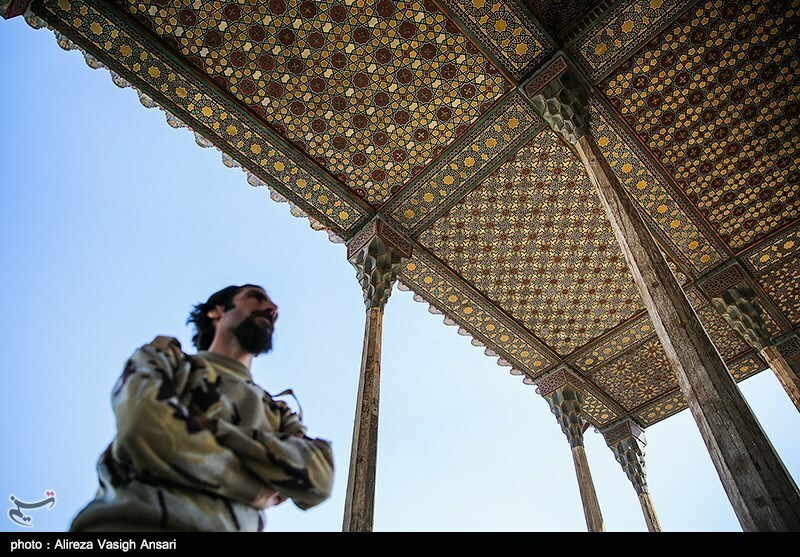 The Ali Qapu palace was fundamentally restored and repaired by Iranian and Italian artists and masters. Different walls and pillars of palace have been strengthened by iron beams.